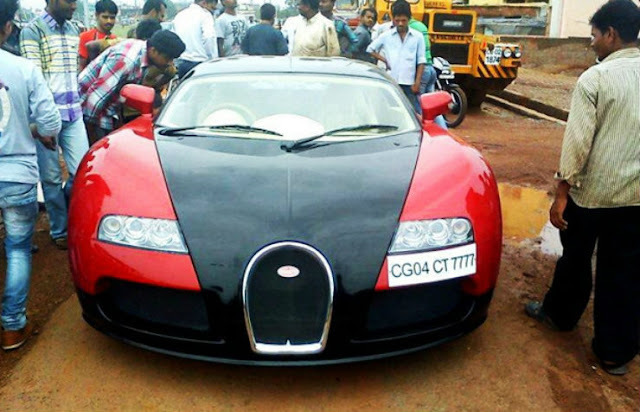 Since Bugatti Veyron is a costly car and not everyone can afford it. Therefore people in India have found their own ways to have one like it. Here we are showing the replica of Legendary Bugati Veyron. Honda Cityron is based on Honda City and looks similar to an actual Bugatti but when you look from closer you will notice slight differences. Not only the outside looks marvellous, but the inside has also been upgraded. 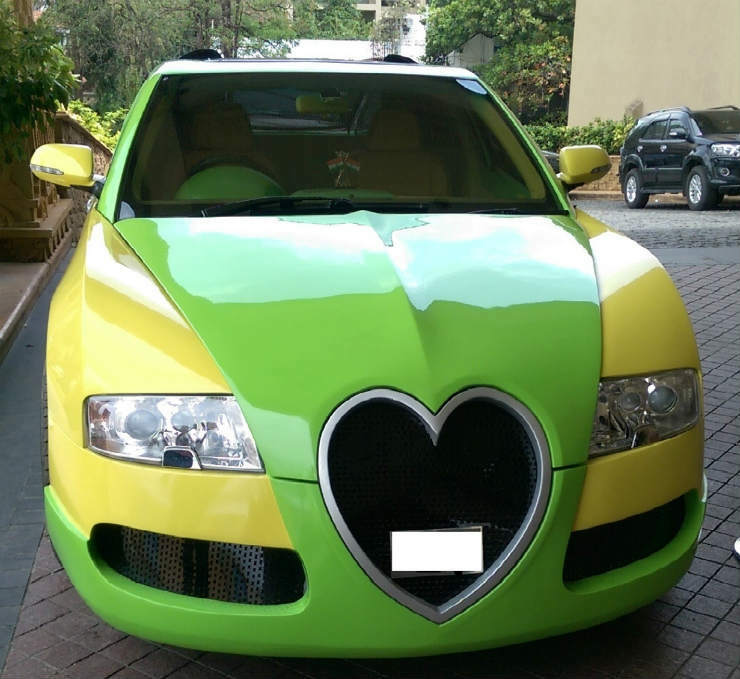 It even has a faux quad turbo engine at the rear which makes it look like a replica of actual Bugatti. In a bid to make it look more like the Veyron, the dash has been redesigned and so has the steering wheel. The gear lever and the instrument binnacle have been taken from Honda City. Tata Veyron AMT based on Nano AMT has same 624 cc engine making 37 Bhp and 51 Nm. The AMT adds practicality to the car and makes it easy to drive in traffic. The interior of the car is as good as its exterior. The interior includes lot of leather and wood. The instrument cluster continues to sit at center of the dashboard. However the dashboard trim has been changed. Another classic replica of Veyron is this Honda Accron which has its front door and the mirrors of previous Gen Accord. Powering this car is a 3,0 litre V6 engine which is mated to a automatic gearbox. The car has got very loud paint scheme. Surely it is going to grab a lot of attention because of its feature of sun roof which also makes it different from real Veyron. Esteem is amongst one of those models which is always liked by the users because of its cheap prices with a lot of modification options. The owner wanted its design to look like the one of Veyron and Voila! This is the result. This one looks a little narrow and a little awkward. Powering this particular vehicle is a 1.3 liter engine making 85 Bhp same as that on the Esteem.